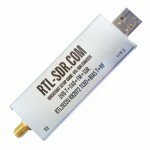 I finally succumbed to the temptation and bought a couple of RTL SDR dongles. These thingies are so cheap, they really open the art of amateur radio to the masses again. 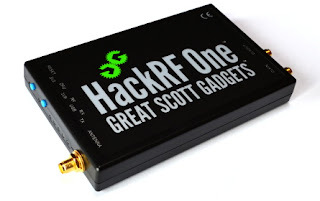 There are also some notes on the not so cheap, more advanced HackRF One dongle at the bottom of this article. These gadgets are wide band digital receivers, which make them much fun. Effectively, RTL-SDR with CubicSDR provides you with a wide band DIY Spectrum Analyzer that works from about 1 MHz all the way up to about 3 GHz. BTW, if you use Linux or BSD, skip to the bottom of the page. Decode ADSB from ATC transponders at 1090 MHz. The receiver is wide band so things fold back, which makes it a bit confusing, but even the simplest antenna will pull in many FM stations. I would recommend using a tuned antenna for HF listening though. So far I managed to tick off the BitX40 (and Abu Dhabi Classic!) with CubicSDR. This should also work with the ATC voice radio band, I just haven't gotten round to trying it yet. The CubicSDR program can do everything I want with this widget, but the command line utilities mentioned above can also be very handy, especially when you want to log data for later analysis. Why is everything so clunky on my Mac? I can add /opt/local/bin to the path, but that is also a security concern. Error: The installed version of Xcode (7.3) is too old to use on the installed OS version. Version 8.2.1 or later is recommended on Mac OS X 10.13. Open the App Store, search for xcode and Get it all over again, which of course takes foreeever (TM)... So I clicked the Caffeine coffee cup to keep the Mac from going to sleep and let it upgrade overnight. Fetching - installing... getting somewhere now! Apparently, there are bazillions of planes in the desert sky, but if I look up, I cannot see any! Now I need to figure out how to list/map the planes with dump1090 or cocoa1090. Start the rtl_tcp server first and connect to the dongle, then run cocoa1090. The frequency is of course 1.090 GHz, so a half wave dipole antenna needs to be 275 mm overall, or each 1/4 wave arm needs to be138 mm. Grab a ruler and tweak the telescopic antenna that you got with the SDR for best results. You can get Malcolm Robb's dump1090 from github. If you need to ask how, then you have to hand your Geek card back. The OpenBSD Calgary Cowboys are SOL though - it doesn't work fully. 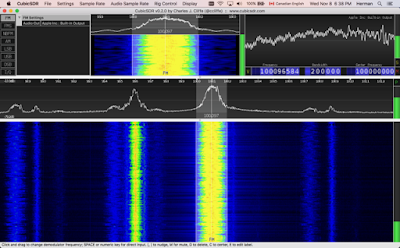 The RTL SDR wotzit works perfectly from inside my house with just a simple little dipole antenna. It is very sensitive, so you don't need any fancy antennas, unless you want to do HF DX. Hmm, you need Linux for that one. I think I need to buy me a new Macbook and put Linux on it! (It can work on a Linux virtual machine on Virtualbox though).